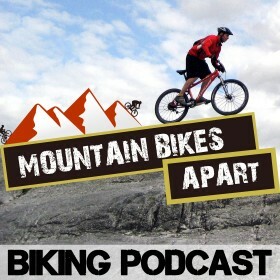 Mountain Biking Knee Problems – Injury once again…. In my last post I talked about getting ready for the Coast to Coast. Well, my eagerly anticipated trip was cut short by a recurrence of my knee injury from earlier in the year. Very annoying considering it suggests I’m out of any kind of long distance cycling in the near future. Or running… Or walking…. Anyway, I’ve been referred to an orthopaedic surgeon so hopefully I’ll get some answers from him and we’ll see what I can do with it. In the meantime I came across a really good article on Bike Radar that gives a fair bit of info on knee injuries in general. You’ll find it here: Knee Care and Maintenance and Knee Care and Maintenance, Part 2. If you check out part two I have a sneaky suspicion that Iliotibial band syndrome could be on the cards, simply going by what’s happening to me along with little comments from the doc. To be honest though, I haven’t a clue. It does sound slightly better than the alternative which is cartilage damage. Although, as nasty as cartilage damage is, at least it’s fixed straight off with a little bit of surgery! Anyway, enough speculation for now, but I hope that the Bike Radar article helps anyone else in a similar situation. It might give you something to point your not-very-sports-specialized doctor at at least.